Finally, I put a switch at the end so the circuit can restart without me having to go to the location and replace a redstone torch. I will give captions on what I did, how it works, and what you can do to make a circuit like mine work.... It is enough to switch the leveler and "electricity" will start to run along the circuit, which will be signaled by the highlighting of the red dust. In a way similar to the leveler, also the other elements, such as buttons , pressure plates , weighted pressure plates or red torch work. 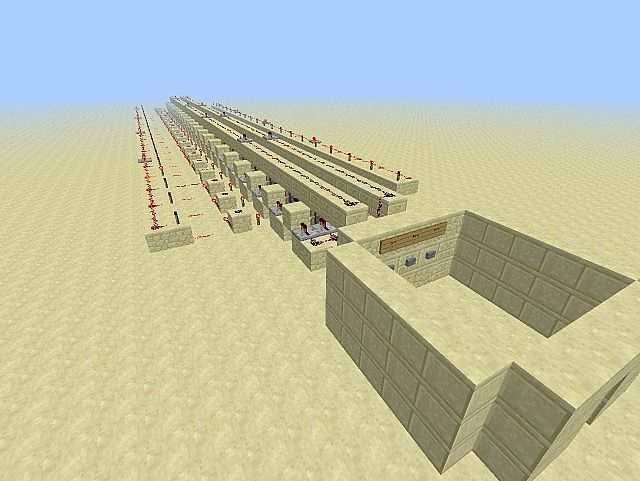 Redstone lamps switch on under four conditions. 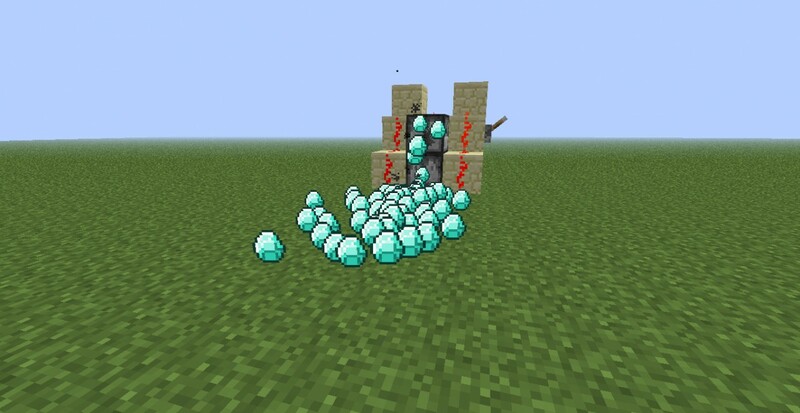 The first is when there’s an adjacent active power source, like a block of redstone, a daylight sensor or a redstone torch. The second is when there’s an adjacent powered block - one that’s getting power from elsewhere. A third is when there’s a powered comparator or repeater facing the lamp, and the fourth is when there’s powered... It is enough to switch the leveler and "electricity" will start to run along the circuit, which will be signaled by the highlighting of the red dust. In a way similar to the leveler, also the other elements, such as buttons , pressure plates , weighted pressure plates or red torch work. The redstone torch must be placed on the sides or the top of the block, it cannot be on the block beside it. It must be a redstone torch, as any other power source will not switch off when powered itself. Finally, I put a switch at the end so the circuit can restart without me having to go to the location and replace a redstone torch. I will give captions on what I did, how it works, and what you can do to make a circuit like mine work.